Experience an African sunset from the summit of Table Mountain with Table Mountain’s awe-inspiring half-price Sunset Special for South African residents, commencing on November 1. A must-do for any local’s summer bucket list, this incredible deal sees South Africans with valid IDs pay just R145 per adult and R72.50 per child for their Cableway tickets from 6pm nightly until February 28, 2019. A five-minute ride in the state-of-the-art cable cars, breathtaking scenic views and an unforgettable experience awaits at the Cableway this summer. Limited tickets are available online and onsite all day: you can purchase your half-price tickets online at www.tablemountain.net or from our Ticket Office onsite at the Cableway all day but tickets may only be used from 6pm each evening. Operations are weather dependent: please check the weather conditions and whether they are open or not BEFORE your Cableway visit by visiting the website or calling the weather line at 021 424 8181. Familiarize yourself with the queuing system: Online ticket holders with pre-booked tickets will join the faster moving ticketholders’ queue on arrival at the Cableway while non-ticketholders will need to queue to buy tickets at the Ticket Office before joining the ticketholders’ queue. Arrange your transport home: the free MyCiTi shuttle runs until 7pm only so either book an Uber or metro taxi. Dress appropriately: it gets chilly at the top of the mountain when the sun goes down so take along something warm to wear. 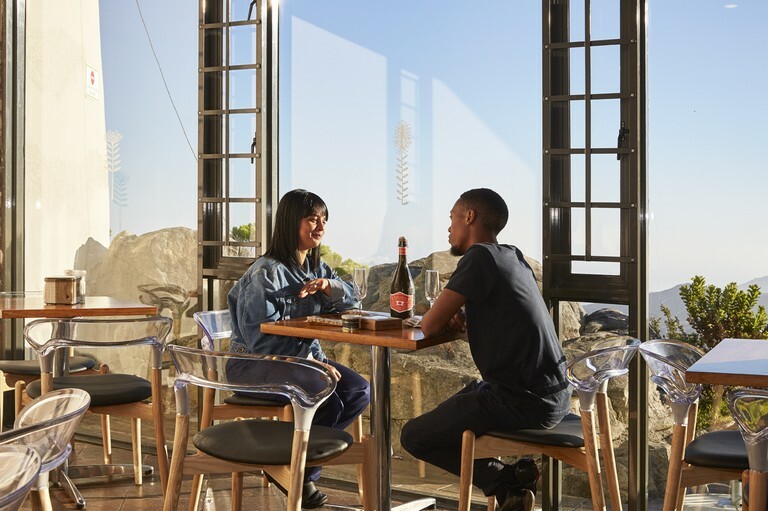 Come hungry: you can get a meal with a view at the Table Mountain Café and pop by the Cableway WiFi Lounge for a hot chocolate to warm you up during sunset. Please note the Café closes at 7.30pm and the WiFi Lounge closes 15 minutes before the last car down. Get social: see your epic Sunset Special photos on the Cableway’s social media feeds so tag @TableMountainCa on Twitter, Instagram and Facebook and use the hashtag #SunsetSpecial. See you at the Table Mountain Cableway.